There's Pocket Rock 1~3 for Rockman 1~3 RCW too. It should work the same way as 4~6 does with leveling up importation too. It's just in the Database. After trying it out. It's very easy to use. Whenever you go into a PSN title that's a PSOne classic. 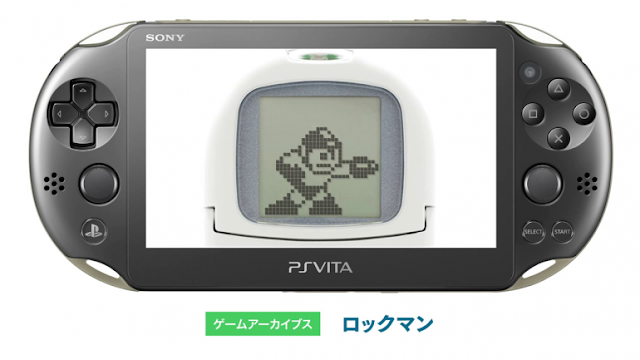 You'll have the option to use PocketStation or PlayStation after you touch whichever game. And you'll get the Hello from the PocketStation boot up. There's no way to view Memory Card blocks, unless I forgot what to press or hold on the PocketStation. Maybe it needs to be implemented more. Trying out 4 had it's original sounds, exactly like it did before and it plays very well. So it's definitely true to what it originally was, if not better. The non-frame size isn't too bad neither if you prefer the white background like on most emulators for handheld platforms out there. I definitely suggest getting a PS1/2 Memory Card transfer cable to transfer any old PocketStation data to a PS3 (and make sure you transfer the PocketStation data to a normal Memory Card, since I don't think it works with a Transfer Cable, need to see.) and then you can use the Transfer Content app to transfer what's needed for that off the PS3. Unless you were starting off anew. All you need to do is install the PocketStation data on whichever game you're doing it on, and simply Load or Save what LVs you want to import. It's nice not to burn anymore lithium batteries. I can't believe the PocketStation is back!!!! Still a shame it wasn't released outside of Japan, and those false promises of a "PocketStation 2" but doesn't matter to me since I have 4 of them lol. If I didn't have to re-buy the Complete Works, I'd get a Vita for this. But I still have my Pocketstation and original games, so I think I'm good. That is awesome though that they're re-releasing it for people that missed out on it. Here's some information on how it is if people were wondering wanting to try it out.